Do you love preserved lemons like we do? I can't quite pinpoint when our love affair with these deliciously sour and briney lemons came to be. But, I can tell you that it probably began with my love for the Meyer Lemon -- that sweet, tart, floral fruit that seems to come along right around the perfect time in winter when I need a pick-me-up. Every year, I look forward to seeing the first batch of lemons in the store. And I always buy a bunch of them, knowing that they'll perk me up. This past February, I ordered 10 pounds of fresh Meyer lemons from the awesome women over at The Lemon Ladies Orchard in Emerald Hills, California. And it was the best decision I've ever made. I made Meyer lemon jam, limoncello, lemon sugar, these amazing lemon glazed doughnuts... and a big fat batch of preserved lemons. Preserved lemons aren't the sort of thing you can just pick up anywhere. Fortunately, they are easy to make. And, although they require a bit of patience (ideally, they take at least a month to cure), they last almost forever in the refrigerator, so they're well worth the effort. I'm just getting down to the last of my batch from February -- which I've been using on any number of things -- and I think I'm going to have to double the amount I make next year because I keep thinking of new dishes that could use a bit of their charm. The most traditional way to use preserved lemons is in a tagine. And if you need great recipes, Paula Wolfert is the person to look to. But, they're also great on a slew of other things. Here are some of my favorite ways to use them. Simple weeknight pasta -- all you need is some good olive oil, garlic, and slices of preserved lemons to make a gorgeous pasta dish. Add them to salsa -- Whether it's summer peach salsa, mango salsa or regular old tomato salsa, it's sure to benefit from a bit of finely diced preserved lemon. Use them in salad dressing -- seriously. They are an awesome addition to a simple vinaigrette (even a bit of the juice will give any dressing a lift). But, they also make an amazing addition to Caesar dressing. Add a few capers to really brine things up. Preserved lemon aioli -- Whir them into a bit of mayo for an amazing dipping sauce or sandwich spread. Roasted chicken -- Mix some of the juice left from preserved lemons with garlic and your choice of herbs. Rub the mixture on the inside and outside of your chicken before roasting. For an added boost of flavor, add a few lemons to the chicken cavity. 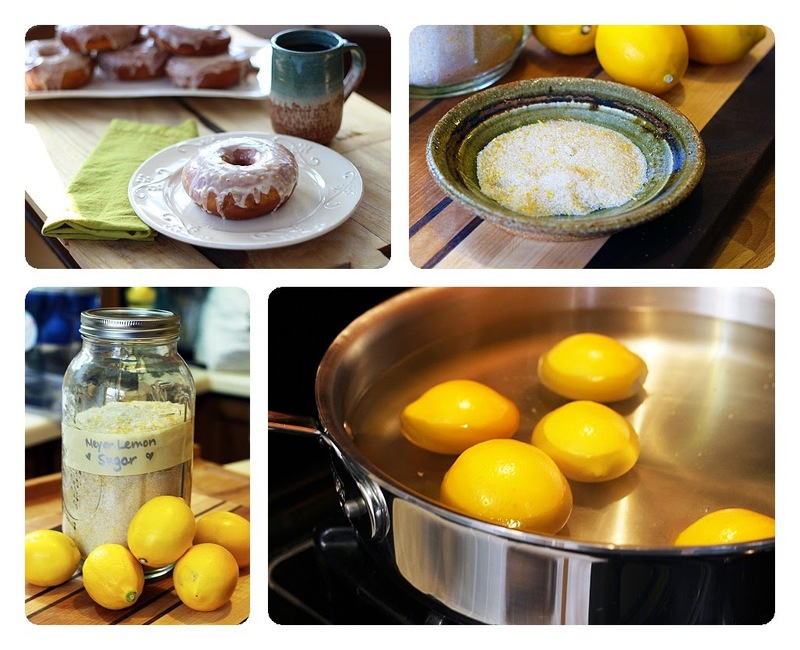 Compound butter -- Add lemon to softened butter, roll into a log, and refrigerate or freeze. Use for corn on the cob, green beans, or just about any summer vegetable. And I'll share another of my favorite recipes with you in the next few days. 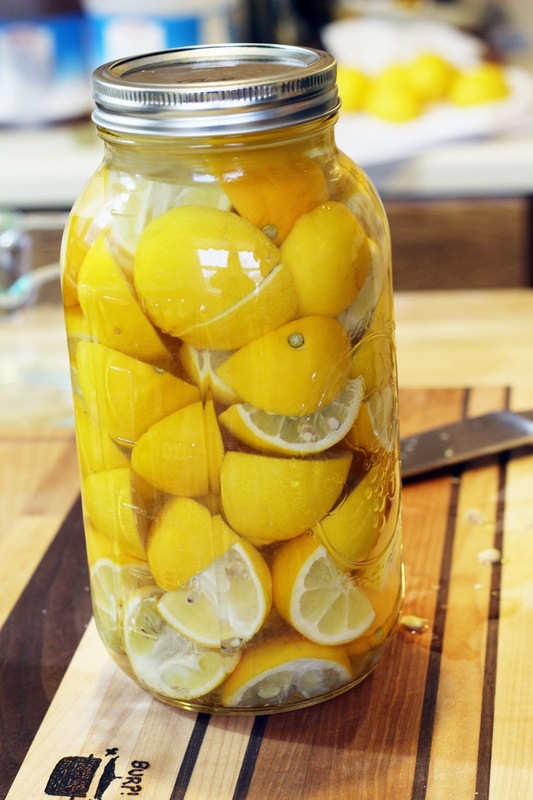 In the meantime, maybe you want to get a batch of your own preserved lemons going.